About this Amp 2,200 mAh Power Bank:The Amp Power Bank from AnyPromo is a 2,200 mAh portable USB charger with a premium Li-Ion battery. Available in a wide variety of colors with color imprint or full-color PhotoGrafixx, this battery backup is highly customizable to fit your brand. The Amp portable USB power supple is a customer-voted "Top 100 item because it provides a lot of perceived value at an affordable price. When you give away a USB portable power bank, the reaction is much different than if you simply gave away a pen. This product is especially great for brand sentiment when recipients see your logo on the device that saves them from a dead phone (and possibly getting stranded). More details about the Amp Power Bank: This battery backup will keep your smartphone charged up when needed. With a 2,200 mAh Li-Ion Grade A battery and a 5V/1A output this charger will fully charge an iPhone giving you an additional 8 hours of talk time. Includes a USB to Micro USB connecting cable which can recharge the battery backup or be used to charge up devices with a Micro USB input like Android Smartphones from Samsung®, Motorola®, HTC®, Nokia®, and others. Our commitment to safety includes not only adherence to federal shipping and travel standards, but voluntary measures such as clean room assembly and quality-control checks during the manufacturing process. Manufactured By Leeds. Material: ABS Plastic Micro-USB Cable Included Versatile 5V / 1A USB Output Full Color PhotoGrafixx Imprint Color Imprint or PhotoGrafixx Customize the Amp with a color imprint or vibrant, full color PhotoGrafixx. 2,200 mAh Capacity The 2,200 mAh Li-lon battery is capable of fully charging most iPhone and Android smartphones. Free Rush Need this product in a hurry for an upcoming giveaway? We've got you covered with free rush production. Special Instructions:Other imprint methods/areas may be available; please call for details. Please note that product images may not depict the standard imprint method included in pricing. Power banks ship air will be required to pay Hazmat charge of $45 per box. About this Edge Power Bank:The Edge power bank from AnyPromo is a Grade A 2000 mAh rechargeable lithium battery for recharging smart phones and other devices. Individually gift boxed, includes a USB to Micro USB charging cable. Available with Screen Printing on the front on an imprint area of 0.75" x 2.50". The Edge USB Charger is a customer-voted "Top 100" item because it can reliably charge a wide variety of devices, including phones from Samsung®, Motorola®, HTC®, Nokia® and more. If you have a USB cable for your device, you can recharge it with the Edge power-bank. Are you looking for a giveaway that can save the day? These USB charger banks are especially great for those that rely on a smart phone for navigation, since it can mean the difference between gettting stranded and successfully reaching a destination. More details about the Edge USB Power Bank: 2000 mAh rechargeable lithium ion Grade A battery device is enough to charge smartphones, MP3 players and more. Reusable power bank charges via USB cable (included) which can recharge the battery backup or be used to charge up devices with a micro-USB input such as Android smartphones from Samsung®, Motorola®, HTC®, Nokia®, and others. USB to Micro USB charging cable is included. Input: 5V/1000mA; Output: 5V/1000mA. Media device not included. Material: Plastic. Micro USB Cable Included Versatile 5V / 1A USB Output Indicator LED Displays Charge .75” x 2.50” Color Screen Print 2000 mAh Battery The Edge features a Grade A 2000 mAh battery that can fully charge most modern smartphones. Charge Any Device A universal USB output can accommodate all standard USB charging cables for iPhones, Androids, and more. Free Rush Production Need custom power banks in time for an upcoming event? We’ve got you covered with 1-day rush production. Special Instructions:1 Day Rush, available upon request for 1 color, 1 imprint location orders. Power banks ship air will be required to pay Hazmat charge of $45 per box. About this Wireless Charging Phone Stand:Charge Qi Enabled Devices By Placing Compatible Device On StandFeatures A Micro USB Input (Cord Included)Output: 5 Volts/1 AmpIndicator LightNon-Slip Stand And BaseCharge Your Smartphone On Your Table, Desktop or NightstandPlease note that some computer and laptop USB ports may not supply enough power to charge a device using this charging pad. Compatible phones include some of the following: Apple iPhone: 8, 8 Plus, X, XR, XS, XS MAX Samsung Galaxy: Note 9, S9, S9+, Note 8, S8, S8+, S7, S7 Edge (Plus more devices) Sony: Xperia XZ3, Xperia XZ2 Premium, Xperia XZ2 (Plus more devices) Special Instructions:Rush Service:Catalog Quantities Only.One Color And One Location. About this Rush Ultra Slim Power Bank, UL Battery - Ship From IL:The Rush UL Listed Ultra Slim Power Bank from AnyPromo is a sleek, stylish power bank that can be carried everywhere. This custom power bank houses a 2500 mAh battery that can fully charge most smartphones. Available with a 1.57" x 2.76" full-color CMYK imprint that completely covers the front of the USB power bank. These UL Listed Slim Power Banks are a customer-voted "Top 100" item because they're great for branding. With a large imprint area either on white or black housing, makes your logo STAND OUT! This is your chance to do a full color imprint logo on a large imprint area, and on two locations! More details about the Rush Ultra Slim USB Power Bank: Cable included Option to add a lightning adapter Input: 5V 1A Output: 5V 1A Size: 96*62*7mm Weight: 40g Battery: Available in 2500mah (UL battery) and 1800mah (Grade A) UL Certiﬁed 2500 mAh Capacity Full Color Imprint Free Shipping UL Certified Make sure your power bank is rated as a safe device. The Rush Ultra Slim 2500 mAh power bank is UL certified for safety. 2500 mAh Capacity The Rush Ultra Slim USB Charger has a power capacity of 2500 mAh that can fully charge most modern smartphones. Full Color Imprint Features a beautiful 4 color process (CMYK) full color imprint that covers the entire front of the power bank. Charge Any USB Device Compatible with any device that can be powered or charged with a USB cable, including tablets Bluetooth speakers, and more. NOTE: Product comes with Prop 65 warning label when shipped to California. Label reads: "WARNING: This product may contain carcinogen, which is known to the State of California to cause Cancer, birth defects or other Reproductive Harm. For more information, go to www.P65Warnings.ca.gov. Special Instructions:White imprint is not recommended on this Silver item due to contrast concerns.Free ground shipping to any one continental USA location only. For any other additional locations or non continental USA locations please call for a quote. About this UL Listed USB Wall Charger AC Adapter:This AC Adapter & USB Wall Charger from AnyPromo is a UL listed USB adapter for plugging into a wall outlet. This compact UL-certified USB wall adapter is compatible with all standard USB connectors and has an output of 5 volts / 1 Amp. Available in a selection of 6 different colors with color imprint on an area of 1 1/4" x 5/8" (either or both sides). This Portable UL Compliant USB Wall Charger is a customer-voted "Top 100" item because USB wall outlet adapters are easy to lose or forget. Nothing can kill a trip like not being able to charge your phone, which is why these are considered a life-saver at trade shows and as a giveaway for travelers. If you're looking for a promotional product that offers plenty of brand exposure, this UL Listed USB Wall Adapter may be for you. The generous imprint area lets everyone know where this custom USB adapter for wall outlets came from. This is especially great for retailers who sell devices that come with a charging cable, but no outlet adapter. More details about the UL Compliant USB Wall Charger & AC Adapter: UL Listed AC Adapter USB Wall Charger. Plug in and recharges your cell and mobile phones using a wall socket outlet. It comes in a compact travel size,but with a large imprint area. Output: 5 Volts/1 Amp. Not recommended for use with tablets. Looking for a promotional product with a clear utility? Custom USB adapters are a great promotional giveaway because they are a modern essential and most people like to keep extras. UL Listed 1 Amp Output PMS Color Imprint 6 Available Colors UL Listed This charger has been tested for safety and is UL listed. If you're giving away an item that plugs into a high voltage wall outlet, you want to make sure that it's safe and reliable device. Great for Branding Looking for a product that can authentically depict your branding? Not only is this USB adapter available in 6 colors, it can be imprinted with custom PMS colors. Best Price Promise We won't be beat. If you find this imprinted USB adapter cheaper elsewhere, AnyPromo won't just match the price, we'll beat the difference by 10%. About this Mini Auto Universal USB Adapter:Auto plug adapter.Plug into accessory power outlet to charge personal device (USB cable not included).White LED indicator light.Compatible with smartphones and any device that provides USB cable for charging (excluding iPad® and tablet devices).Input: 12-24 Volts. Output: 5V/0.5 Amp.USB cable not included.Material: ABS Plastic.Special Instructions:1 Day Rush, available upon request for 1 color, 1 imprint location orders. About this Cell Phone Power Bank - 2200 mAh:2200mAh A Grade Lithium-ion battery power bank. Requires your phone’s charging cord to charge your device. Micro USB to USB cord included to charge product. Pursuant to IATA regulations, Gold Bond Worldwide no longer ships Power Banks by methods other than Ground Service to the Continental United States and Canada. Please allow us to offer rush production to meet your important event. Charges as quickly as 5 hours. Peak output of 1000mA. Powers mobile phones, tablets, MP3 players, GPS devices, and more!. Rechargeable - Connect to wall outlet or car charger after use to repower. Charge Any USB Device 1000mA Output Engraved or Printed 4 Available Colors Emergency Power Bank Looking for a handy gift? This portable power bank can save the day when your phone dies with a re-charge. 2,200 mAh Capacity The power bank features a 2,200 mAh Li-lon battery is capable of fully charging most iPhone and Android smartphones. Color Imprint or Laser Engraving Customize the power bank with a color imprint to represent your brand or a Laser Engraving for a premium look. Price Match Guarantee If you find this custom power bank cheaper elsewhere, AnyPromo won't just match the price, we'll beat it. Special Instructions:Gold Rush Service not available on multi-color. Due to modifications to the IATA Dangerous Goods Regulations and the corresponding change to the UN Shipping Classification for power bank products, we can no longer offer transport via air. About this Dual Port Wall Charger:We all LOVE our wall chargers. Without them, how would our mobile devices get their power?The problem is we don't have enough of them! Keep your logo in use with this invaluable and compact charger. Small enough to fit comfortably on the body, but still packing a charge for your devices. Input: 100-240V; Output: 5V 2.1A/1A NOTE: Product comes with Prop 65 warning label when shipped to California. Label reads: "WARNING: This product may contain carcinogen, which is known to the State of California to cause Cancer, birth defects or other Reproductive Harm. For more information, go to www.P65Warnings.ca.gov. Free ground shipping to any one continental USA location only. For any other additional locations or non continental USA locations please call for a quote. About this USA Rush UL Certified Executive Power Bank - Ship From IL:This sleek aluminum style power bank is now UL certified and in Chicago stock! With an acrylic finish, it gives your logo an upscale feel. The brushed aluminum keeps the power bank rugged and ready to go for all day wear and tear. Pairs great with the sleek metallic look of the iPhone and Android. Free one side hi- res full-color printing or multiple spot color printing included.Shipping UPS ground is included in the standard Pricing. Need it quicker? Upgrade to the 24-hour turnaround for a little extra. The entire item is UL Certified, not just the battery. NOTE: Product comes with Prop 65 warning label when shipped to California. Label reads: "WARNING: This product may contain carcinogen, which is known to the State of California to cause Cancer, birth defects or other Reproductive Harm. For more information, go to www.P65Warnings.ca.gov. Special Instructions:White imprint is not recommended on this Silver item due to contrast concerns.Free ground shipping to any one continental USA location only. For any other additional locations or non continental USA locations please call for a quote. About this Round USB Car Charger With LED Light:Charge made of PC+ABS Plastic and metal.Input: DC 12V-24V; Output: DC 5V/1000mA on one side and 5V/2100mA on opposite side. Charge your devices on the go! This charger has dual ports and an LED ring that illuminates when in use. RoHS and FCC approved. Safety Tested by Intertek Laboratories. About this Round USB Car Charger:Power/Technology: Input: DC 12V-24V; Output: DC 5V/1000mA on one side and 5V/2100mA on opposite side.Charge your devices on the go! This charger has dual ports and an LED ring that illuminates when in use .Charge made of PC+ABS Plastic and metal .RoHS and FCC Approved.Safety Tested by Intertek Laboratories.NOTE: Charge time will not be as fast as normal AC outlet charging. About this 3 in 1 Noodle Charging Cable:The 3 in 1 Noodle Charging Cable is a 3-way charging cable; Multiple USB adapter. Compatible with Apple® iPhone 8-pin devices, Micro USB, Mini USB; Patented. Apple® is a registered trademark of Apple Inc.Special Instructions:Rush service: 1 color 1 location Only. About this 4- in -1 Noodle Charging Cable:Colorful 4-in-1 charging cables; Multiple USB adaptor. Compatible with Apple® 8-pin devices, Micro USB, Mini USB; Patented. Apple® is a registered trademark of Apple Inc. 8-Pin Charger Head (Apple Compatible) 2 Micro USB Charger Heads Mini USB Charger Head 7 Available Colors Charge Multiple Devices These 4-in-1 octopus cables are great for charging multiple devices off one USB port. Essential Tech Item The 4-in-1 Noodle Charging Cable is an essential tech item for the car or home in case friends or guests need a charge. Great Power Bank Accessory If you're getting promotional power banks, these 4-in-1 cables are a great accessory that allow you to charge almost any device. Price Match Guarantee If you find these custom 4-in-1 cables cheaper elsewhere, AnyPromo won't just match the price, we'll beat it. Special Instructions:Rush service: 1 color 1 location Only. About this UL USB Wall Charger:Lightweight and portable charger for travel. Plug this charger into an electrical outlet to charge your electronics; UL Listed. Not compatible with tablets.Special Instructions:Rush service: 1 color 1 location Only. About this Wireless Charging Pad:This wireless charger is easy to use. Simply place any Qi enabled device on the charging pad and watch your phone charge.This high quality phone charger features an upgraded FOD (Foreign Object Dectector) through a blinking red & blue light.It also includes a power-efficient idle mode that prevents overcharging your battery and wasting energy.The LED indicator light is red when idle and blue when the phone is connected and charging.If the device is not able to be charged wirelessly (not QI enabled), you can connect directly to charge using Micro USB input. NOTE: Product comes with Prop 65 warning label when shipped to California. Label reads: "WARNING: This product may contain carcinogen, which is known to the State of California to cause cancer. For more information, go to www.P65Warnings.ca.gov. Compatible phones include some of the following: Apple iPhone: 8, 8 Plus, X, XR, XS, XS MAX Samsung Galaxy: Note 9, S9, S9+, Note 8, S8, S8+, S7, S7 Edge (Plus more devices) Sony: Xperia XZ3, Xperia XZ2 Premium, Xperia XZ2 (Plus more devices) *Please check your device specifications prior to purchase. About this UL 4 Port USB Folding Wall Charger:4 port USB Charging Station; UL Listed. Compact Design with folding prongs; 3 A output.Special Instructions:Rush service: 1 color 1 location Only. About this Sybil UL Certified 4000 MAh Slim Power Bank:4000 mAh personal charger for smartphone and tablet devices.Charge your device on the go anywhere.UL certified with an anodized aluminum housing and arrives in an individual box.Connect any USB cable, or use the included Micro USB cable to recharge devices and the power bank itself.Lithium ion grade A non-recycled battery with auto on/off overcharging function.Outputs 5 Volts/1.0 Amp. About this Ridge 2 In 1 Charging Cable Keychain:Metal keychain with braided 2-in-1 charging cable; Multiple USB adaptor. Compatible with Apple 8-pin devices, Micro USB, Mini USB Patented. Apple is a registered trademark of Apple Inc.
About this UL Ridge Light Up Power Bank:Light turns on to illuminate your logo.Charges most small portable devices; UL Certified.4000 mAh Capacity; 5.0 V 2.1A Output.Has one USB port and one Micro USB port.Micro USB power cord included; Rechargeable lithium battery.Phone charging cord not included; Not for tablets.Special Instructions:Due to modifications to the IATA Dangerous Goods Regulations and the corresponding change to the UN Shipping Classification for power bank products, we can no longer offer transport via air. About this USB AC Adapter:Give your promotional campaign the charge it needs with this USB AC adapter. This essential item will turn any outlet into a charging station for your USB-compatible devices. It features 1000 mAh, a 5V output and overcharge protection. Perfect for juicing up smartphones, tablets, digital cameras and more, this product can be customized with your company name, logo and more so your customers will think of your brand every time they need a charge. *UL APPROVED* NOTE: Product comes with Prop 65 warning label when shipped to California. Label reads: "WARNING: This product may contain carcinogen, which is known to the State of California to cause cancer. For more information, go to www.P65Warnings.ca.gov. About this UL Listed Jolt Power Bank:This little battery backup will keep your mobile devices charged up. The UL Certified 2,200 mAh internal Li-Ion Grade A battery has enough life to fully charge an iPhone, giving you about 8 hours of additional talk time. The 5V/1A USB output means that it charges at the same rate of most wall chargers. Includes a USB to Micro USB connecting cable which can recharge the battery backup or be used to charge up devices with a Micro USB input like Android Smartphones from Samsung®, Motorola®, HTC®, Nokia®, and others. This product passed UL Standards. Material: Aluminum. Manufactured By Leeds.Special Instructions:Other imprint methods/areas may be available; please call for details. Please note that product images may not depict the standard imprint method included in pricing. Power banks ship air will be required to pay Hazmat charge of $45 per box. About this Mega Vault 8,800 mAh Power Bank:Ever want to know exactly how much power is left in your power bank? The Mega Vault answers that question with a LED Digital power check display. The Mega Vault packs an 8800 mAh Grade A Lithium Ion battery with a dual output. The first output is 5V/1A for charging smartphones and the second is 5V/2A for charging tablets. Also includes an LED light and Micro USB to USB connecting cable which can charge the battery backup or be used to charge up devices with a Micro USB input like Android smartphones from Samsung®, Motorola®, HTC®, Nokia®, and others. Material: ABS Plastic. Manufactured By Leeds.Special Instructions:Other imprint methods/areas may be available; please call for details. Please note that product images may not depict the standard imprint method included in pricing. Power banks ship air will be required to pay Hazmat charge of $45 per box. About this Bask Solar 4,000 mAh Power Bank:The Bask Solar Power Bank is ideal for any camping trip or day at the beach. This 4,000mAh 5V/1A Output power bank can be charged by the sun or the included USB to Micro USB connecting cable that can also be used to charge devices with a Micro USB input like Android smartphones from Samsung, Motorola, HTC, Nokia and other. Material: Aluminum. Manufactured By Leeds.Special Instructions:Other imprint methods/areas may be available; please call for details. Please note that product images may not depict the standard imprint method included in pricing. Power banks ship air will be required to pay Hazmat charge of $45 per box. About this ETL Listed Tempest AC Adapter and Car Charger:The multifunctional AC adaptor w/Car Charger is perfect for Road Trips and overnight stays. This charger has 2 different 5V/1A outputs for you to charge your smartphone while in the car or take it to your room or office and plug the device into the wall for charging needs. Material: ABS Plastic. Manufactured By Leeds.Special Instructions:Other imprint methods/areas may be available; please call for details. Please note that product images may not depict the standard imprint method included in pricing. About this Slim Ion 2,500 mAh Power Bank:This sleek and slim credit card size design allows for you to take this power bank anywhere without the added weight. With 2,500 mAh Lithium Polymer battery and a 5V/1A output you can charge any smartphone at the same rate as a wall charger. Includes a USB to Micro USB connecting cable which can charge the battery backup or be used to charge devices with a Micro USB input like Android smartphones from Samsung®, Motorola®, HTC®, Nokia®, and others. Material: ABS Plastic. Manufactured By Leeds.Special Instructions:Other imprint methods/areas may be available; please call for details. Please note that product images may not depict the standard imprint method included in pricing. Power banks ship air will be required to pay Hazmat charge of $45 per box. About this Cherokee 5,000 mAh Power Bank:The Cherokee Power Bank is made from natural bamboo material. This battery back up packs a 5,000 mAh Grade A Lithium Polymer battery with a dual output. Both of the outputs are 5V/1A perfect for charging smartphones. Blue LED light indicators show how much power in left in the power bank. Includes a USB to Micro USB connection cable which can charge the battery backup or be used to charge up devices with a Micro USB input like Android smartphones from Samsung®, Motorola®, HTC®, Nokia®, and others. Material: Bamboo. Manufactured By Leeds.Special Instructions:Other imprint methods/areas may be available; please call for details. Please note that product images may not depict the standard imprint method included in pricing. Power banks ship air will be required to pay Hazmat charge of $45 per box. About this Jolt Premium Power Kit:Whether you are in your car, office or working outside the Jolt Premium Power Kit is the answer to all of your smartphone charging needs.The kit includes a 2200mAh Jolt Charger giving an iPhone 8 hours of additional talk time, 5V/1A Car adaptor, 5V/1A AC adaptor and Micro USB to USB charging cable. Material: AluminumSpecial Instructions:Other imprint methods/areas may be available; please call for details. Please note that product images may not depict the standard imprint method included in pricing. About this Jolt Power Bank with Digital Power Display:This little battery backup will keep your mobile devices charged up. The 2,200 mAh internal Li-Ion Grade A battery has enough life to fully charge a smartphone, giving you about 8 hours of additional talk time. The LED digital power indicator will confirm exactly how much charge remains within the power bank. The 5V/1A USB output means that it charges at the same rate of most wall chargers. Includes a USB to Micro USB connecting cable which can recharge the battery backup or be used to charge up devices with a Micro USB input like Android Smartphones from Samsung®, Motorola®, HTC®, Nokia®, and others. Our batteries have undergone evaluation for numerous quality standards Material: Aluminum. Manufactured By Leeds.Special Instructions:Other imprint methods/areas may be available; please call for details. Please note that product images may not depict the standard imprint method included in pricing. Power banks ship air will be required to pay Hazmat charge of $45 per box. About this Rut 2,000 mAh Power Bank:This battery backup will keep your smartphone charged up when needed.With a 2,000 mAh Li-Ion Grade A battery and a 5V/1A output it will give you an additional 8 hours of talk time.Includes a USB to Micro USB connecting cable which can recharge the battery backup or be used to charge up devices with a Micro USB input like Android Smartphones from Samsung®, Motorola®, HTC®, Nokia®, and others.Material: Double Wall Plastic.Special Instructions:Other imprint methods/areas may be available; please call for details. Please note that product images may not depict the standard imprint method included in pricing.Power banks ship air will be required to pay Hazmat charge of $45 per box. Thank you Amy, Erika and Danielle for your positive reviews on our Jolt 2,200 mAh Power Bank. This product is our most popular item in this category. Allow your customers to stay fully charged with this phone charger. They can be anywhere and have their phone easily charged. No need to plug it into a wall! Includes a USB to Micro USB connecting cable which can recharge the battery backup or be used to charge up devices with a Micro USB input like Android Smartphones from Samsung, Motorola, HTC, Nokia, and others. Thank you Timothy and Nancy! Battery chargers are great to give at any tradeshow or event! Phones are battery power so they are bound to die. Give your customer’s phone life again with our promotional battery chargers. Input: 5V/800mA. Output: 5V/800mA. Capacity 2200mAh. Charge time differs by device. Must charge power bank prior to first use. ABS plastic cube-shaped universal international power bank designed for use as emergency battery charger for mobile phones. WARNING: Refer to the item manual for safety and warning instructions. Order your Power Bank Emergency Battery Charger here. Thank you Wendy and Alison! This charger has been increasing in sales and we see why. It’s size and charging capacity is perfect! Give your customer the charger they will enjoy using! Cell Phone Power Bank 2200 mAh. Our compact rechargeable USB Portable Power Bank is the ideal promotional product to “eliminate the dead battery drama” while using your mobile phone, camera, or game player. This 2200 mAh power bank will quickly recharge your phone or device battery up to 2 times in as little as one hour. To use, simply plug your device into its standard recharging cable, and plug the open USB into our USB Power Bank. It’s Li-ion Cell recharges fully in about 3 hours time, is rechargeable up to 500 times. Solid Anodized Aluminum case is compact in size (measures a mere 3 ¾” x 7/8” x 7/8”), which makes it ideal for storage in a purse, glove box, auto, or briefcase for emergency use. Each Power Bank features four LED blue lights which indicate remaining power and the status indicator to show percentage of recharge done at a glance. With more than 850 items in our selection for promotional chargers and accessories, you’ll have no problem finding the perfect one to promote your company. We have power banks, USB car chargers, universal USB adapters, dual car chargers, solar chargers, and more! Chargers and accessories are great for every customer. Most customers have smart phones. Don’t let their phones die. Instead, power up their chargers with our promotional chargers and accessories. Promotional chargers and accessories are great for all events, especially if it’s an all day event! Your customers will thank you for giving their phone life again! Look through our selection of chargers and accessories. Shop here! AnyPromo always aims to help make an impact on your brand while getting the best bang for your buck! Search our chargers and accessories inventory to find what best fits your promotional needs. Chargers and accessories are great for any event! Customers will always have their smart phones by their side, so why not help charge their phone batteries? At the same time you’ll be marketing your company logo! Chargers and accessories are fun for everyone! We have different styles and colors of chargers and accessories in our selection. Select the best fit for your company. Below you’ll find a list of some of our trending promotional chargers and accessories. Every item is available and waiting for you to order. 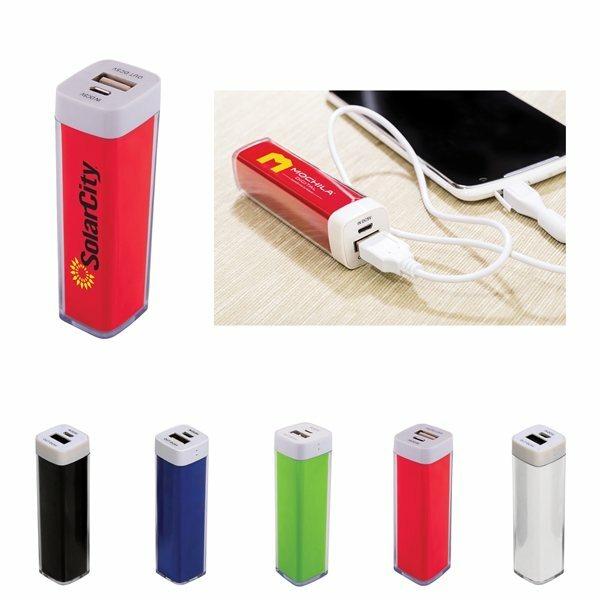 Promotional chargers and accessories are very helpful to have. Many customers will be running to your booth to receive a promotional charger or accessory. Phone accessories have risen in popularity because of the increase in smartphone sales. You can see many customers on their phones so give them the marketing tool that will help their phones stay charged. Our featured list of chargers and accessories are currently trending in this category. You won’t want to miss out on these options!